Notes: It time to dedicate some time to getting my abs to come out and say hi. Watching what you eat is a important factor in seeing your abs. Today’s ab routine left me grimacing through reps and enjoying the burn. Check out my exercise of the day and feel the burn for yourself. 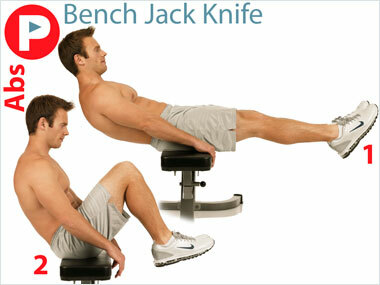 Exercise of the Day: Bench Jack Knife ab exercise. Want to get cut up? 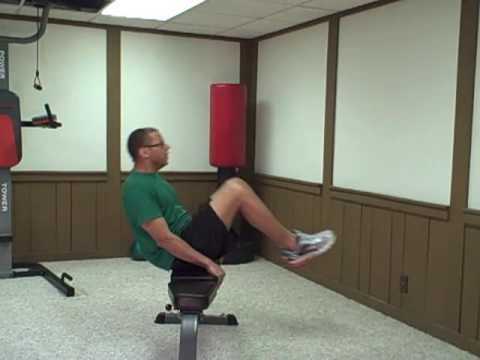 The Bench Jack Knife will do it, I felt the burn in the five reps. Great exercise you can do between reps if you’re in a burning calorie mood or short on time. See you next week for more FB reviews.